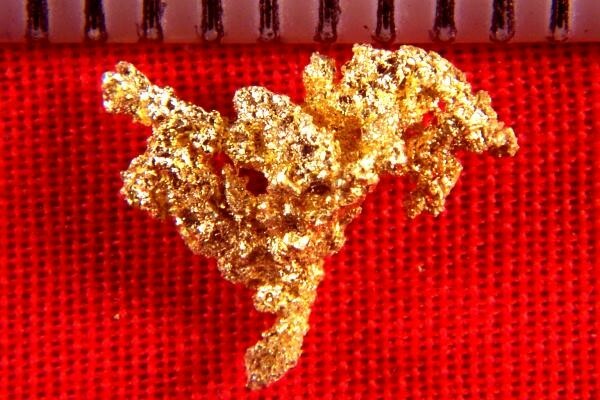 The Eagles Nest Mine in Placer County California is famous, having produced many gorgeous gold specimens over the years. But legal issues have kept the mine from producing for several years now and into the foreseeable future. So gold specimens from eagles Nest are becoming scarce and hard to find for sale. I have a few specimens left from this location. Once they are gone, that's it. 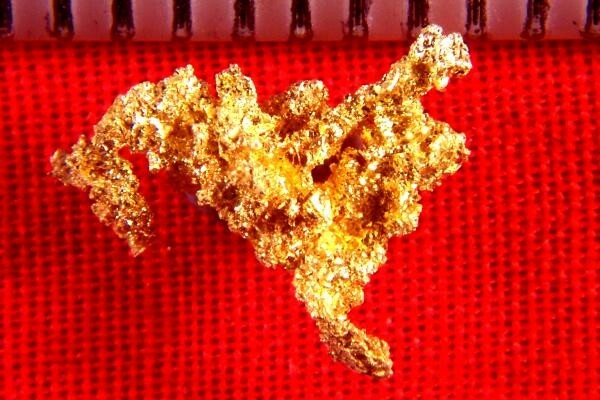 This particular gold nugget from Eagles Nest is 3/8" (10 mm) long and the weight is 8.3 Grains (0.54 Gram). It has a real nice shape with fantastic color and multiple interlaced gold crystals. A real beautiful gold specimen for the price.